2017-ben ünnepli tizedik születésnapját 20. Század Hangja Archívum és Kutatóműhely, mely a Magyar Tudományos Akadémia Társadalomtudományi Kutatóközpontjának Szociológiai Intézetében működik, és melynek létrejötte a Vera és Donald Blinken Nyílt Társadalom Archívum (OSA) technikai, tudás- és intézményi támogatásával történt. A műhely közismert magyar társadalomkutatók által felajánlott interjúk, és egyéb dokumentumok másolatait gyűjti, digitalizálja. In each academic year Blinken OSA – in co-operation with the departments of History and Legal Studies – offers postgraduate academic courses to Central European University students. The regular courses seek to address a broad spectrum of archival matters concerning the historian’s craft, documentary works, or legal and cinematic documentary practices related to human rights. Some of them require an active, hands-on approach to materials curated by Blinken OSA. Látássérült diákok “kezébe adta” a Blinken OSA Archívum az Afganisztán, birodalmak temetője – A szovjet háború címmel rendezett kiállításának a tárgyait a tárlat zárása előtt. A budapesti Vakok Iskolájából kísérő tanárokkal érkezett fiataloknak a kiállítás egyik kurátora, Mink András történész, valamint Mesterházy Sándor (Zammis Schein) magángyűjtő és Nemzetes Ferenc, az OSA Archívum kiállítás- és rendezvény-technikai vezetője mutatta be a kiállított anyagot. A látogatás során a diákok többek között felpróbálhatták a kiállított helyi viseleteket, megtapinthatták a szőnyegeket, kézbe vehették az afgán háborúban használt fegyereket. At the start of this semester (January 2017), I was feeling anxious, excited, and driven to take on a new challenge and experience unlike any other opportunity I have had during my time at George Mason University. I felt anxious because I wanted to succeed and prove to my colleagues and supervisors that I can take on any challenge, however, not having the proper experience with extensive research and archival work still proved as intimidating. Welcome to the opening of the “Afghanistan, the Graveyard of Empires - the Soviet War” exhibition at the Vera and Donald Blinken Open Society Archives at the Central European University. 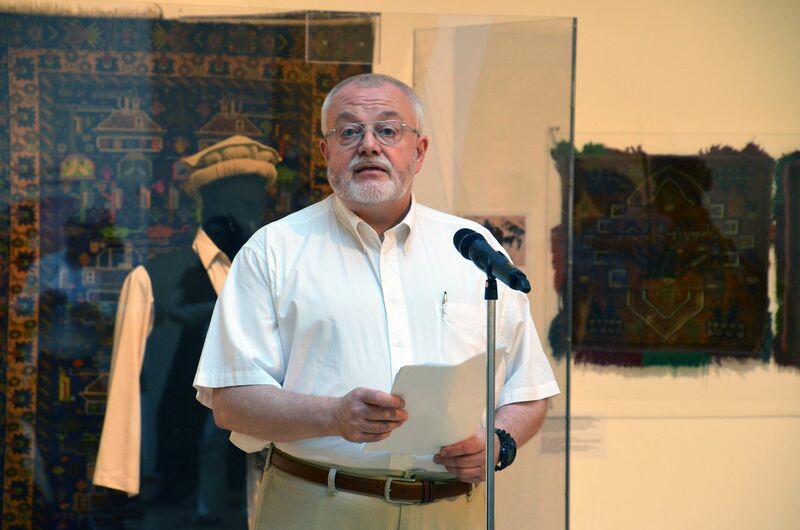 I am delighted to address you at the opening of this exhibition not only because I have the utmost honor and privilege to contribute a few items from my modest Soviet Afghan war collection, but also because my acceptance of this invitation from OSA was my way of saying “I STAND WITH CEU”. A recent encounter with the concept of Visible Thinking (VT) during a training organized by the Amsterdam based Thinking Museum inspired this brief piece about its applicability in an archival setting. Blinken OSA is a repository of unique collections primarily related to the history of the Cold War and international human rights violations, a research center as well as a public space with exhibits, conferences, screenings, film festivals, a special archival teaching program, and education outreach programs for K-12 schools. So how can a complex institution such as Blinken OSA make use of VT to bring history closer to younger generations and encourage critical thinking? In the following, I will detail a few VT routines tailored to familiarize participants with particular archival collections and historical events, and rethink them in a contemporary context. Blinken OSA held a presentation and an in-house seminar to explore the possibilities of human rights archives’ involvement in documenting and presenting the global refugee experience. This was at the same time the concluding event of a four-month internship on the same topic, a program run by George Mason University and hosted by Blinken OSA. The digitization of documents leaves those who study history without the charm of digging into the dusty stacks of documents, but HU OSA 298, the new collection of Free Europe Committee (FEC) materials allows scholars to experience the James Bond spirit as they search through the "strictly confidential" ciphered messages. 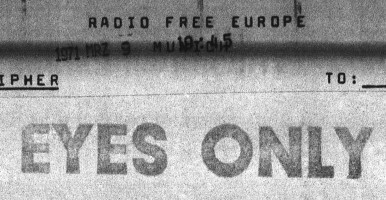 New documents published by the Vera and Donald Blinken Open Society Archives (Blinken OSA) offer more insights into the history of CIA-funded RFE from the late 1960s and early 1970s. 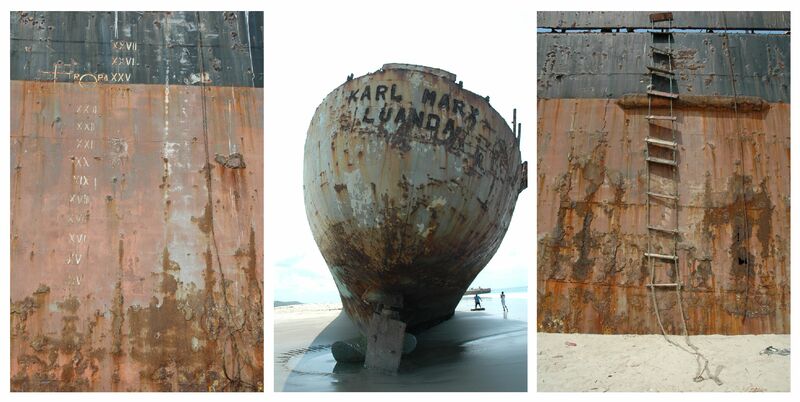 Who Is Behind the Symbols of Socialist Art? The exhibition The Symbols of Socialist Art – Revisited at the Blinken OSA explores and critically re-evaluates the Communist Iconologia encapsulated in the visual dictionary of Nóra Aradi, the omnipotent guardian of Socialist Realism in Hungary, with the help of contemporary artists from Central and Eastern Europe. It also investigates the role Aradi had in the making of the Hungarian art history of the 2nd half of the 20th century.